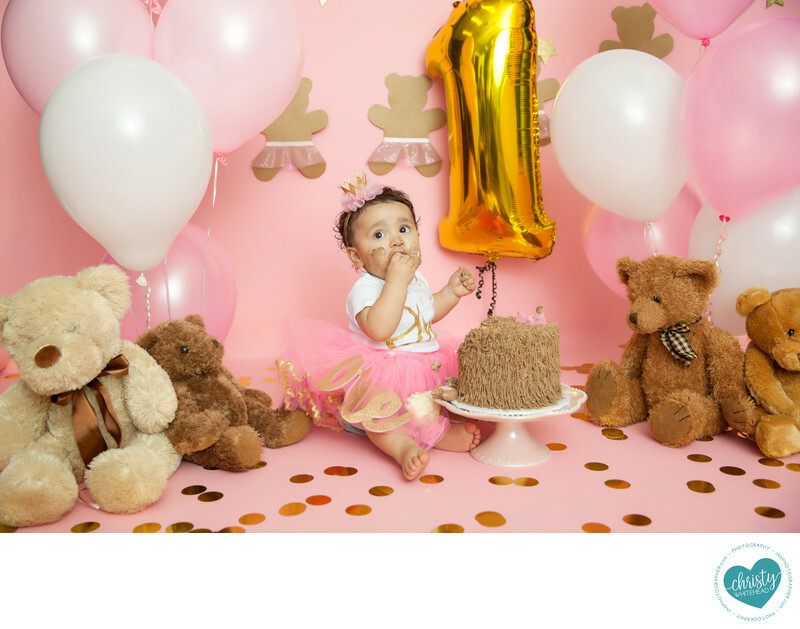 Momma wanted a teddy bear cake smash portrait session. She made the bear banner. I keep teddy bears in my large studio and so we added those. I have tons of different color backdrops and added the gold circles. We gave her a little pink tutu.